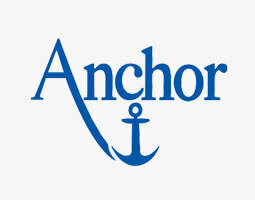 Anchor one of the famous brand from Coats Craft is proud of its successful history and heritage. Anchor has a simple philosophy. No matter what your skill level, Anchor threads and kits are designed to encourage self-expression and pleasure in the art of embroidery and crochet - right to the very last stitch. The Anchor range covers a wide selection of different crochet and embroidery threads and kits. Anchor believes that crafting should always be fun - and that’s reflected in every Anchor product.